Imagine how much time and effort you will waste printing all those CAD drawings one by one. Use Total CAD Printer to automate your printing tasks. It prints folders of DWG, DXF, PLT, PRN, SVG and other CAD drawings requiring min actions from you. You may print all your folders of CAD files in few clicks only! Total CAD Printer will automatically select scaling mode and paper orientation to fit each drawing best. 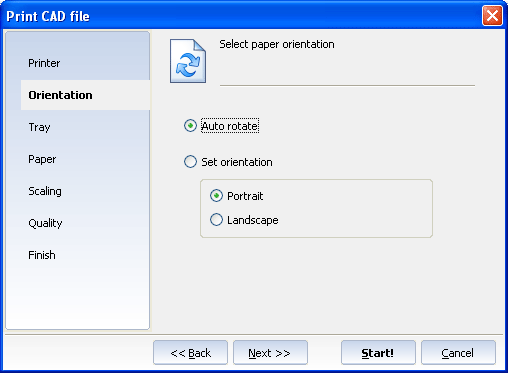 It also offers several levels of printing quality for your needs to save ink on drafts. A nice interface and command line support make it even more attractive for CAD users. Total CAD Printer is available in evaluation mode for free. Download it now and start saving your time today. VTK Import for Inventor is a Visualization Toolkit (.vtk) file import add-in for Inventor. This add-in gives Inventor the ability to import polygon data from VTK files. VTK Import for SolidWorks is a Visualization Toolkit (.vtk) file import add-in for SolidWorks. This add-in gives SolidWorks the ability to import geometric data from files. VTK Export for Inventor is a Visualization Toolkit (.vtk) file export add-in for InventorÂ®. This add-in gives Inventor the ability to export geometric data from Inventor to ASCII and Binary VTK files. VTK Import for Rhino is a Visualization Toolkit VTK file import plug-in for Rhinoceros. This plug-in gives Rhinoceros the ability to import geometric data from VTK files. VTK Export for Rhino is a Visualization Toolkit VTK file export plug-in for Rhinoceros. This plug-in gives Rhinoceros the ability to export geometric data from Rhinoceros to ASCII and Binary VTK files. This site does not contain serial number, crack, keygen Total CAD Printer serial number : serial number is the simplest type of crack. A serial number(cdkey,product key,etc) is register the program as you may already know. a crack or keygen may contain harmful software. If you cannot find the exact version you want, just give it a try. for more information read .nfo/.txt/.diz file include in zipped file.